Bridal portraits are generally all about the bride. However, Miranda decided to share the spotlight with Diesel, the Boxer, during her session with Sugar Peach Productions. I think you’ll agree; he’s a handsome sidekick! From Miranda: “Diesel will be ten in October. He is the best dog ever. 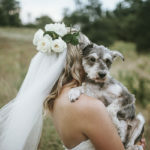 You can see more of this dog-friendly bridal session on the Sugar Peach Productions blog. 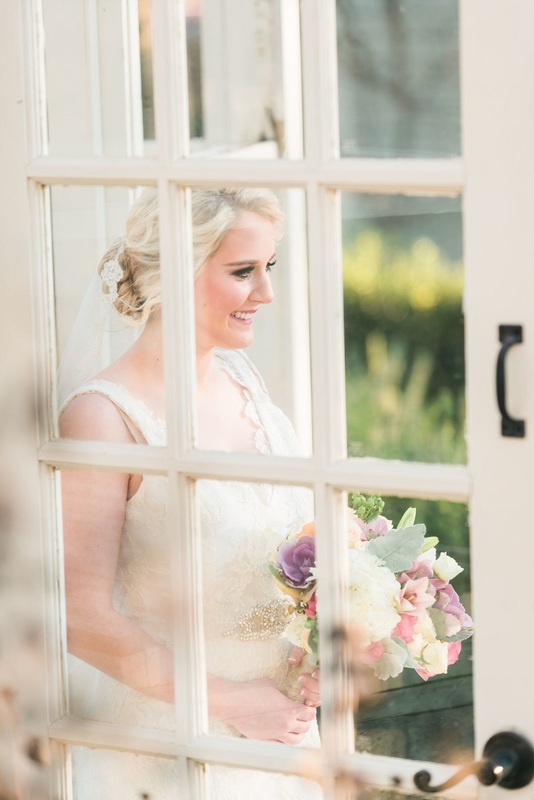 About Sugar Peach Productions: Based in Augusta, South Carolina, Courtney specializes in destination weddings. Is A Pet Stroller Right for Your Dog? 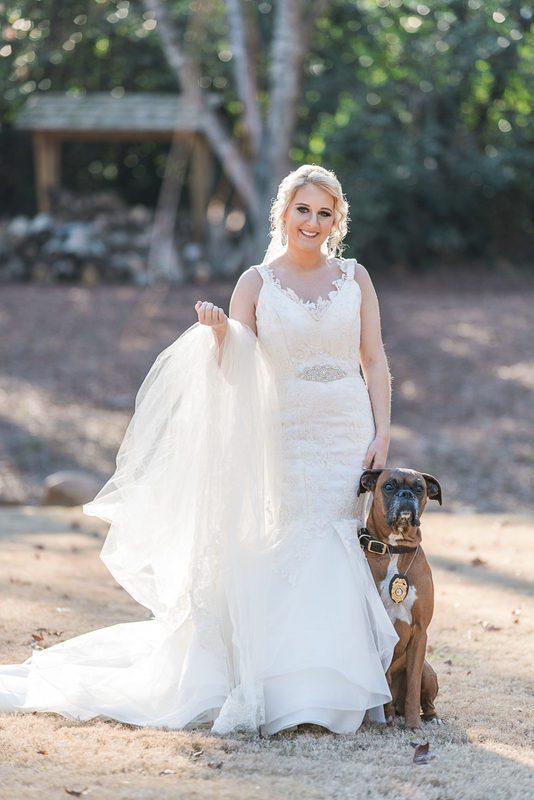 I’m such a sucker for dogs in bridal photos. My fiancé and I are getting married soon(ish?) and I really want to incorporate my dogs. They’re such a big part of our lives we just couldn’t celebrate our special day without them! I’m excited to see how you incorporate them in your big day! Awe, Diesel is so handsome and looks very wise. I especially love the first photo with the .flowers. The pastel colors are such a nice contrast with the browns in his fur. I have a soft spot in my heart for Boxers. Jasmine’s best pal was a Boxer. Those two were inseparable. So sweet! 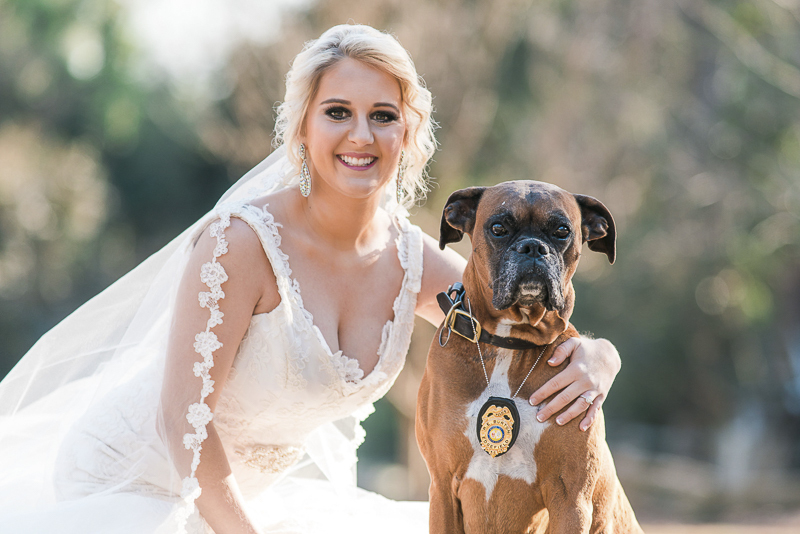 That was very thoughtful to bring her fiance’s dog to the shoot. He looks so proud too, “Dad, she’s a keeper!” The badge was a nice touch and she looks radiant! Congrats to the happy couple. 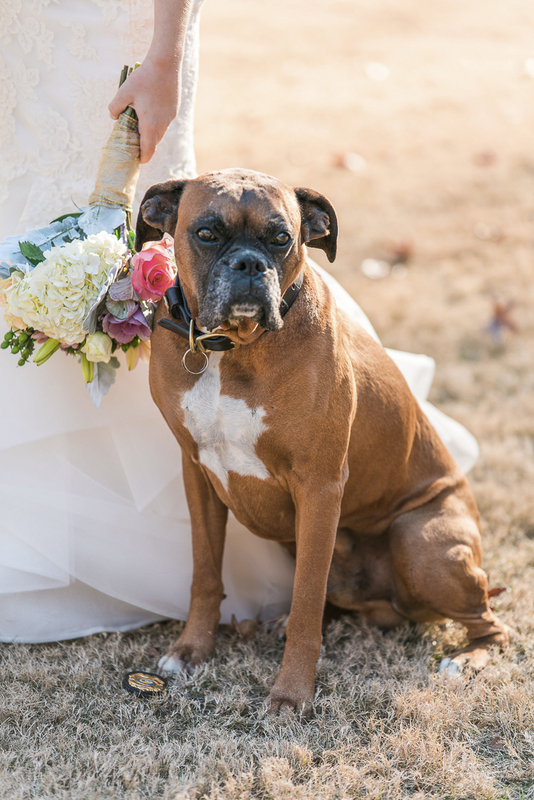 My grand dog Diesel was the hit of the wedding. Trotted in and out of the ceremony with is white bow tie like a professional, with only a few sniffs along the way! We love him so much! He’s so handsome! I bet he looked great in his white bow tie! I love that Miranda included Diesel in her photos – such a beautiful, and thoughtful gesture for her fiancée (husband). I especially like that his badge was included (I’m a Police wife, too). So adorable! I have a friend that has 2 Boxers. They are sweet dogs! These are gorgeous photos! I love the one with the dog licking her face. So precious! Oh my gosh! All of the tears! So sweet of her to do that and such great pictures! So much fun. I’m a total dog lover. Would love to hear what the groom’s reaction to these beautiful photos was. 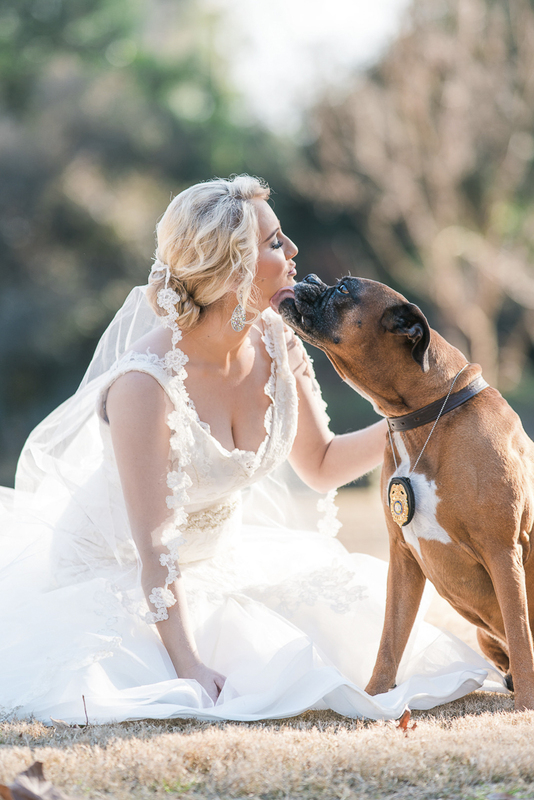 The only thing more precious than a dog in a wedding is a dog with a badge in a wedding! My husband is a cop! Aw, that’s so sweet! I would definitely include my pets in any important photoshoot as well.